Pioneers in the industry, we offer turbo spice grinding machine, coriander grinding machine, whole spices turbo grinder machine, chilli grinding plant, chilli powder making machine and red chilly pulverizer mill from India. Specially design for chili, coriander, garam masala, sambhar masala, pulao masala, chat masala, biryani masala. Specially design for chili, coriander, garam masala, sambhar masala, pulaw masala, chat masala, biryani masala. We are offering Semi Automatic Fine Turmeric Grinding Machine to our client. Which are available in a different capacity with different product characteristics. 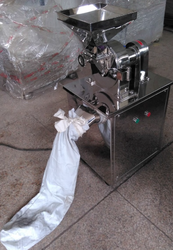 Single Stage Spice Grinding Machine for the capacity of 100 to 150kgs/hr. We are accordingly pleased to enclose the offer for the same. The plant would comprise the following equipment. BUCKET ELEVATOR FBE-1 (2 Nos.) The bucket elevator will feed the spices into the Spice Mill at a uniform rate Through the Dump booth. HAMMERMILL MODEL FC-1508(2 Nos.) The offered machine with 20 H.P. motor will grind the spices at the feed rate of 100-150 Kgs./hr. The fineness achieved would be 80 mesh. 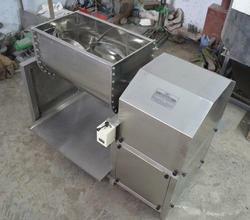 PNEUMATIC CONVEYING SYSTEM MODEL PCS-400(2 Nos.) 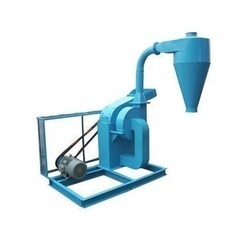 This system will convey the powder from the Hammer Mill into the collection bin. It will separate the air from the material thereby preventing dusting. The air will exit through the Dust Collector. The constant circulation of fresh Air into the system ensures spice powder to remain cool. ROTARY AIR-LOCK VALVE MODEL RALV-200(2 Nos.) This equipment will discharge the pulverized powder from the cyclone separator but will prevent the air from coming out along with the material. This valve will prevent dusting of powder at the collection end. 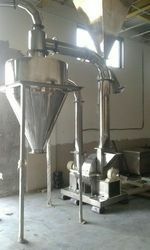 OPEN TYPE DUST COLLECTOR(2 Nos.) The function of the dust collection unit is to collect fine dust & release clean air into the atmosphere. 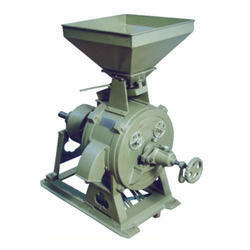 Spice Grinding Machine Impact Pulverizer for Besan, Turmeric and Rice. 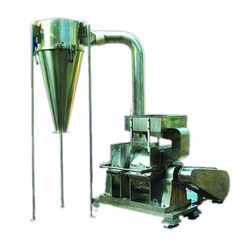 We are offering Spices Impact Pulverizer (Spice Grinding Machine Impact Pulverizer for Besan, Turmeric and Rice). Specially design for turmeric, besan any type of pulses grinding. We are offering Spices Pre Crusher for Hard Brittle Spices (Turmeric). 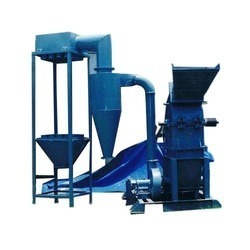 We are offering Turmeric Impact Pulverizer. Specially design for turmeric, besan, any type of pulses grinding. Looking for Spice Grinding Machines ?